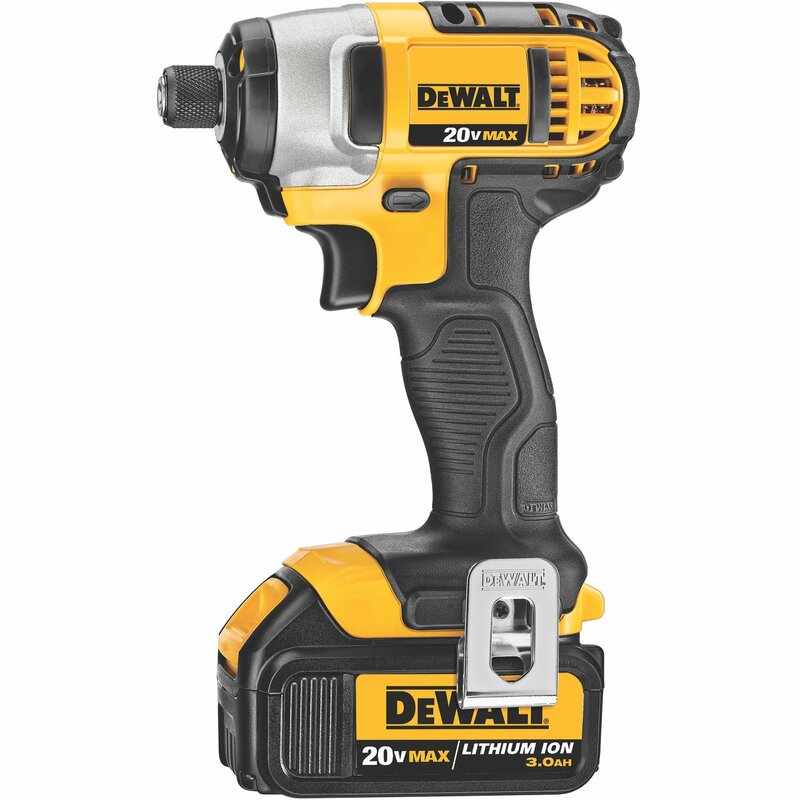 If you’re interested in getting a multi-tool set, then is the DeWalt 20v 5 Tool Combo Kit just the thing? Not many sets of tools are able to speed up your DIY projects like the famous yellow-brand–and we don’t mean Stanley Tools. 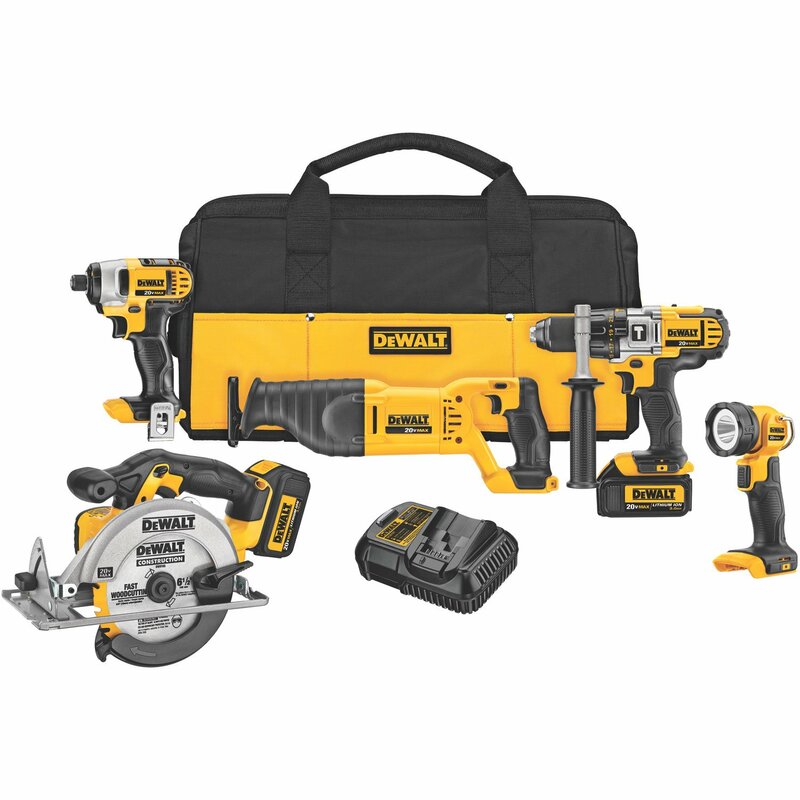 For those looking for a go-to kit to do just that, you may want to check out this DeWalt power tool package. The company is no stranger to power tools–quite the contrary, they are an industry leader–so when this combo came out we took it upon ourselves to find out exactly what it had to offer. We went over each of the tools included in the set, one by one, and the following is our overall assessment of the combo. There is a company-backed warranty included with this kit of course, but along with the 3-year warranty there is a 90-day money-back guarantee and 1-year free service to boot. To add to that, the included lithium ion batteries have a 3-year warranty. The ½” hammer drill is powered by a nice and beefy 535-watt motor, which provides you with a superior performance in all light to medium tasks. It works with a ½” chuck, and you get carbide inserts which minimize slipping; the inserts also improve bit grip and prolongs the lifespan of the tool, so if you’re the type of person who plans to use this particular drill regularly, then you will appreciate that very much.After personally using several DeWALT drills for years, this is a simple but important thing I always look for.The DCD985B Hammer Drill/Driver features DeWalt’s proprietary 3-speed design, which is, respectively, 0-600 to 1,250 RPM, and 0-200 RPM. 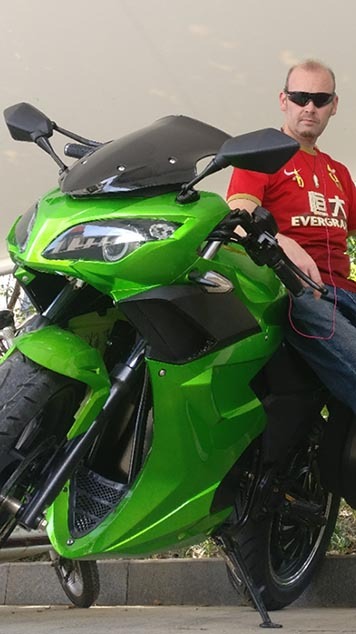 The transmission is metal and 30% quicker than the typical hammer drill. This is not what we would call a “combo-kit tool,” because there have sometimes been kits in some brands whose drills or supporting tools are more like afterthoughts than valuable and helpful tools. However, this drill is a highly-rated and popular seller on the market as of today, and can be used in a wide variety of applications as it’s not just a hammer drill. The DCF885 20V MAX 1/4″ impact driver goes up to 2,800 RPM, making it a whopping 43% faster than the standard impact driver on the market. It has a ¼” hex chuck which is compatible with 1” bit tips. This impact tool works even better in tight spots than the hammer drill due to it’s highly manageable size, which is made even easier as it also weighs-in at just 3.4 lbs. The DCS393 Circular Saw runs on a 460-watt motor, giving you sufficient power for plunge and bevel cutting, ripping and other cuts. Its handle has been optimized for comfort, plus it’s possible to use the saw with either your right or left hand. That’s right–if you’re a lefty, then you can switch the buttons and you’re off to the races as quickly as a righty! For an actual discussion and more thorough and up-close look at the circular saw, check out this independent video. The DCS381 20V MAX Reciprocating Saw is remarkably light, making it easy to handle in many tight spots. The blade clamp setup simplifies the blade changing, and it’s possible to reverse the saw blade for both flush and upside-down cutting. The saw is able to go from 0-300 SPM so it cuts rather fast. With the variable speed control, you also get a full range of control out of each cut, and it also has an electric brake as well. The DCL040 20V MAX LED Work Light does, basically, what it’s supposed to, which is provide lighting. While this may sound somewhat boring, it is worthy to note that it has 110 lumens, which makes it more or less brighter than the typical work light, so you can see rather well within dimly lit areas. The light color also makes it noticeably easier to distinguish between different colors, and the light itself does not produce as much heat as regular xenon fixtures that we’ve come across. Each tool is durable and well designed, and four out of five (the hammer drill, driver, reciprocating saw, and flashlight) are actually sold individually and enjoy high to near-perfect reviews. Consistent performance — DW’s tools are respected and that’s a trust they’ve earned. This tool kit continues that reputation and is definitely the kind of setup that could benefit a number of people. Faster than regular power tools — As we mentioned about the hammer drill earlier, the tools in this set are not what we would call “set tools,” meaning that they aren’t fudged by DeWALT so that they can shave some extra profit from the buyer. These tools (with the exception of the circular saw) are also sold stand-alone and do quite well as they can hold their own. The circular saw base does feel a little bit flimsy at times, so it would be nice for DeWALT to have firmed that up a bit more. No guard adjustment on reciprocating saw, which causes the saw to not be as flexible as it could easily be. The DeWalt DCK590l2 5 Tool Combo is a well-rounded set which should and does appeal to a wide range of users. For homeowners, the 5 tools can replace a lot of those in their garages or shops, and these not only have the high probability of lasting longer, but also create a small all-in-one solution for a variety of working applications. The set also appeals to do-it-yourselfers because with one simple, easy purchase, you get a comprehensive and interchangeable set of tools which perform both common and custom DIY tasks. These tools also have the power to easily meet many of the requirements demanded by contractors, electricians, re-modelers, cabinet makers, and those in the general carpentry business. The instructions for each tool are more than adequate, and if you have used similar tools in the past, then the procedure to use each is super easy. If you’re looking for a set of tools which are both easy to operate and are ergonomic, this combo package will actually do more than that. What’s really nice about this particular combo is that the company actually chose the included tools well. Any number could have been included here of course, but the two saws, the impact driver and hammer drill are the ones most DIYers are going to use from our view point. Because the tools are well chosen and work well with each other, it’s suitable for use either at your home or your workshop, which is a great thing! Toss in the handy carrying case and it becomes even easier to port it back and forth between the two.